I Love You to the Moon and Back Jewelry. 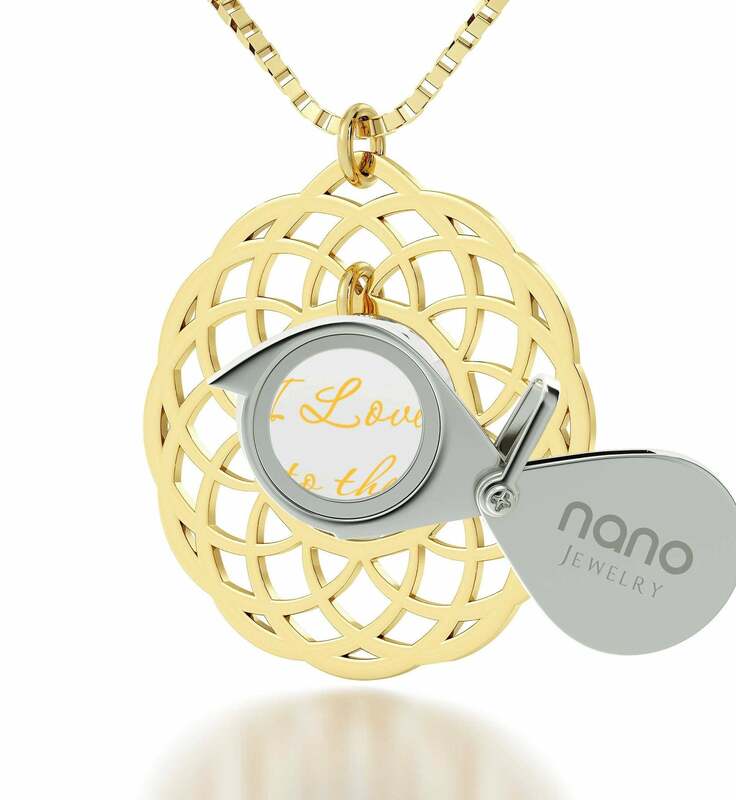 Order Today at Nano Jewelry! 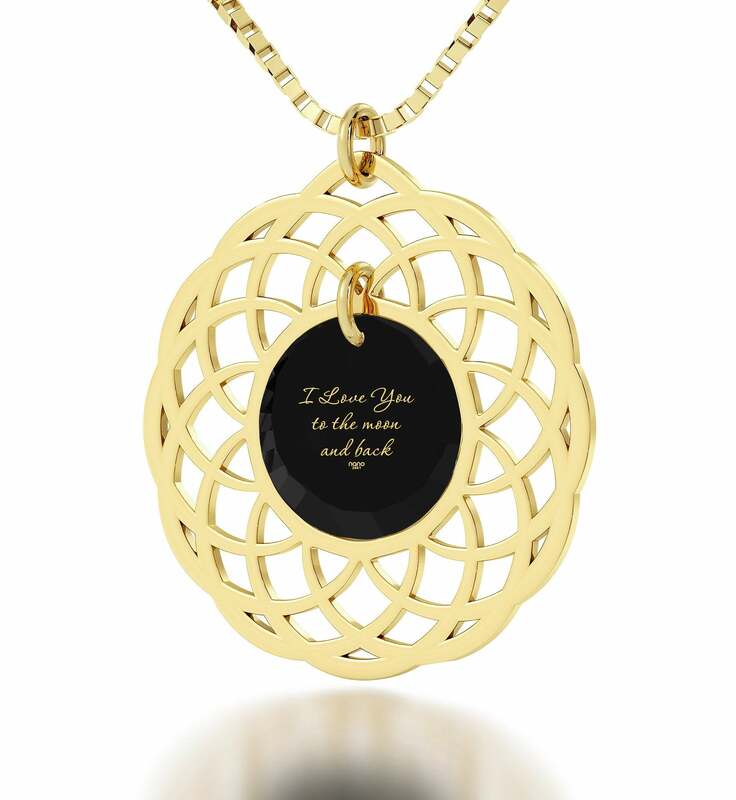 She’s the one, isn’t she? You feel butterflies in your stomach when talking to her and imagine how you’ll spend your whole lives together… If you’re looking for an unusual Christmas present or a great anniversary gift for her, why not express yourself in a totally unique way? 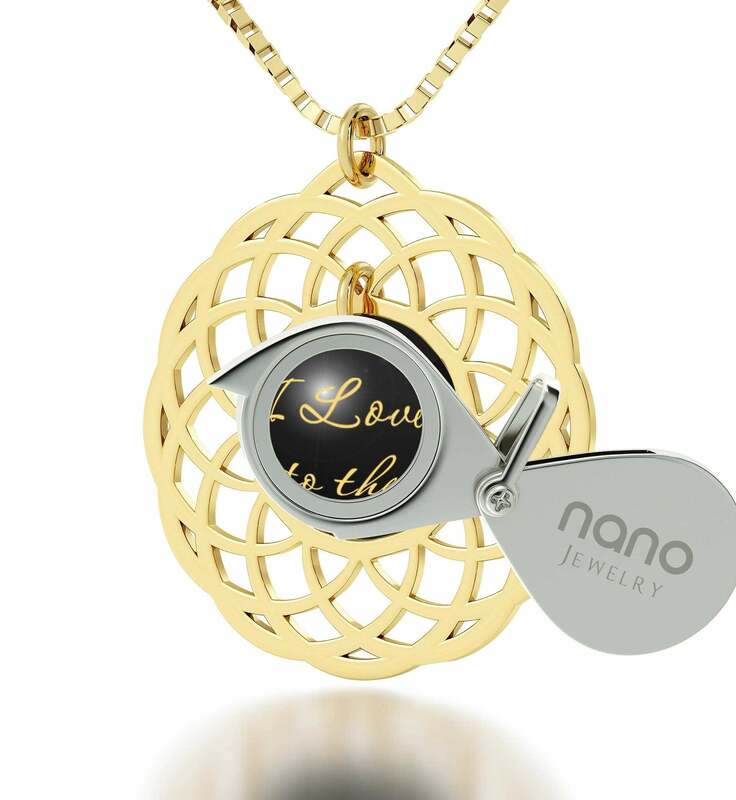 Other womens gold jewelry might look pretty and all, but how many pieces can you gift her and claim that they’re as unique as she is? 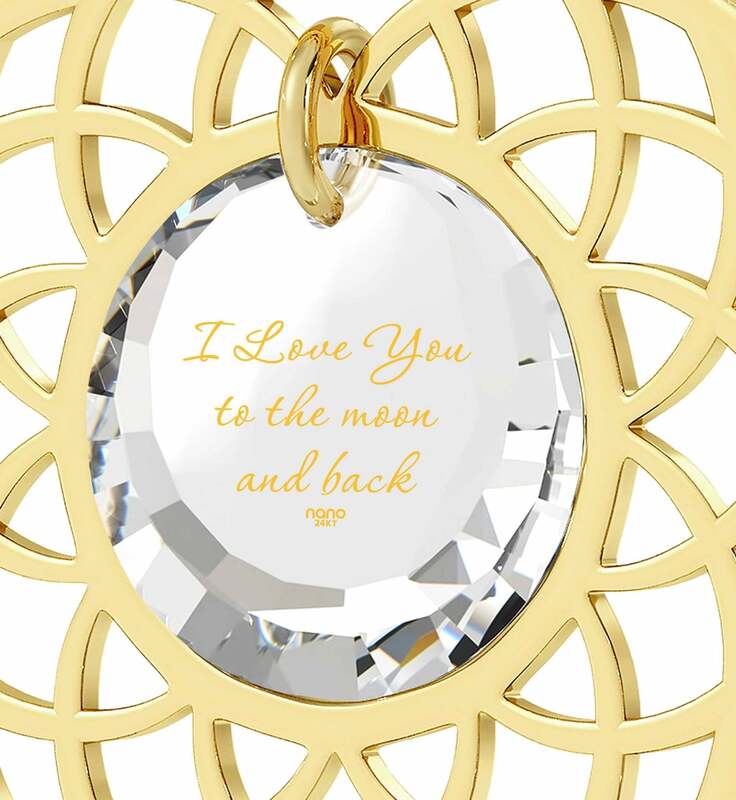 I Love you to the Moon and Back jewelry is crafted with affection and style. 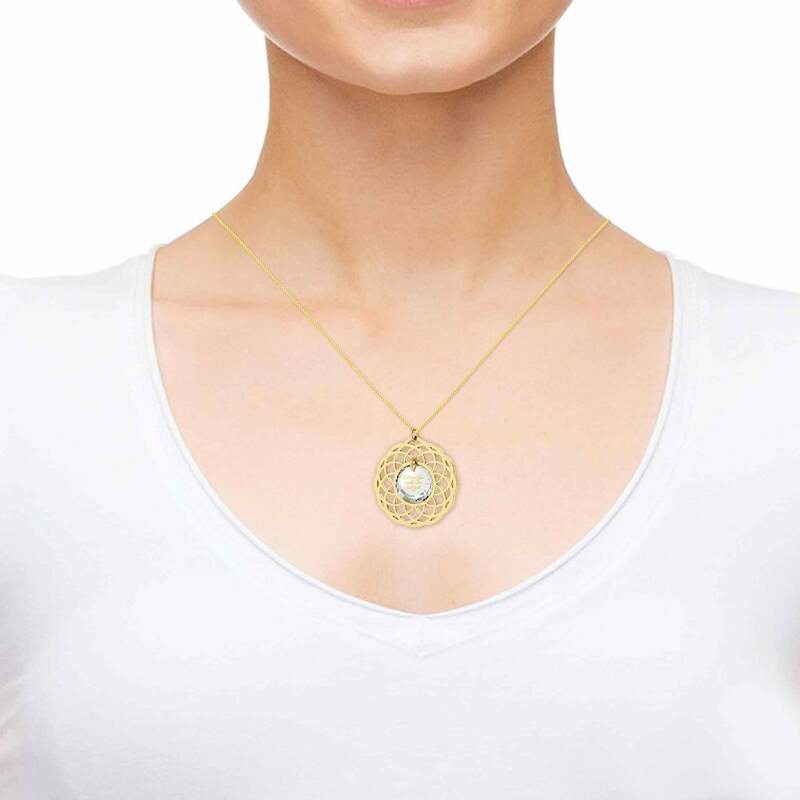 The beautiful 24k gold-plated mandala frame hangs suspended with a high-quality box chain, and sports a beautiful cubic zirconia crystal in its middle. 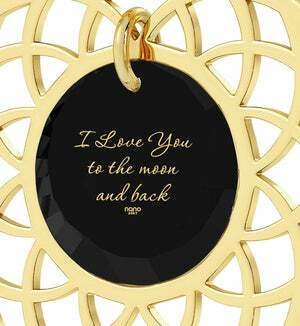 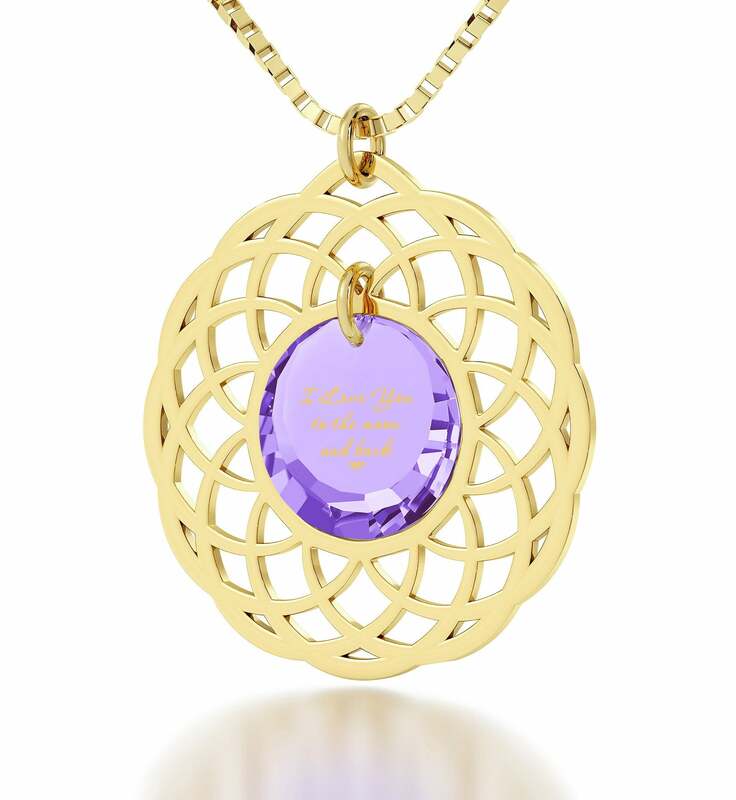 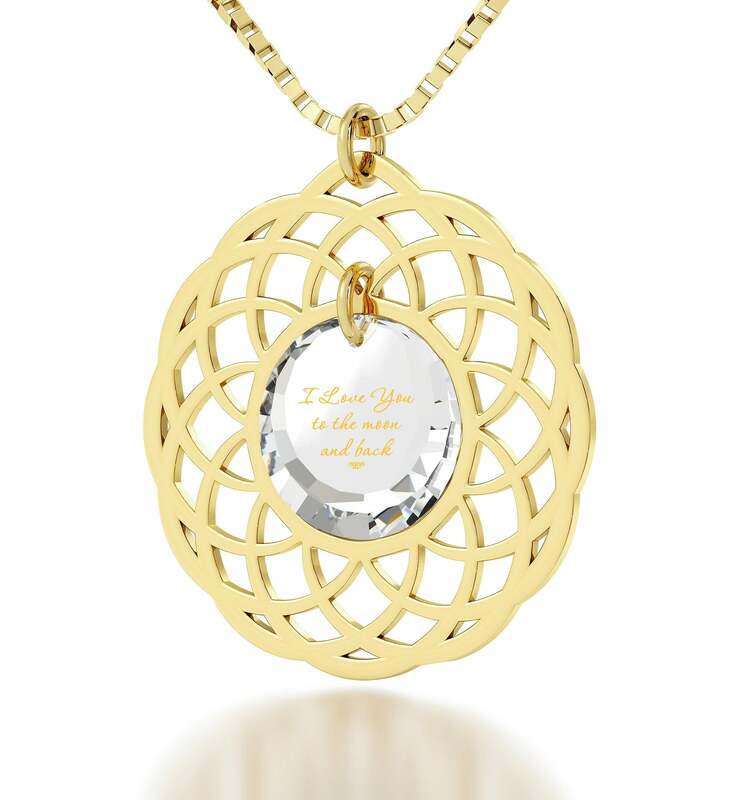 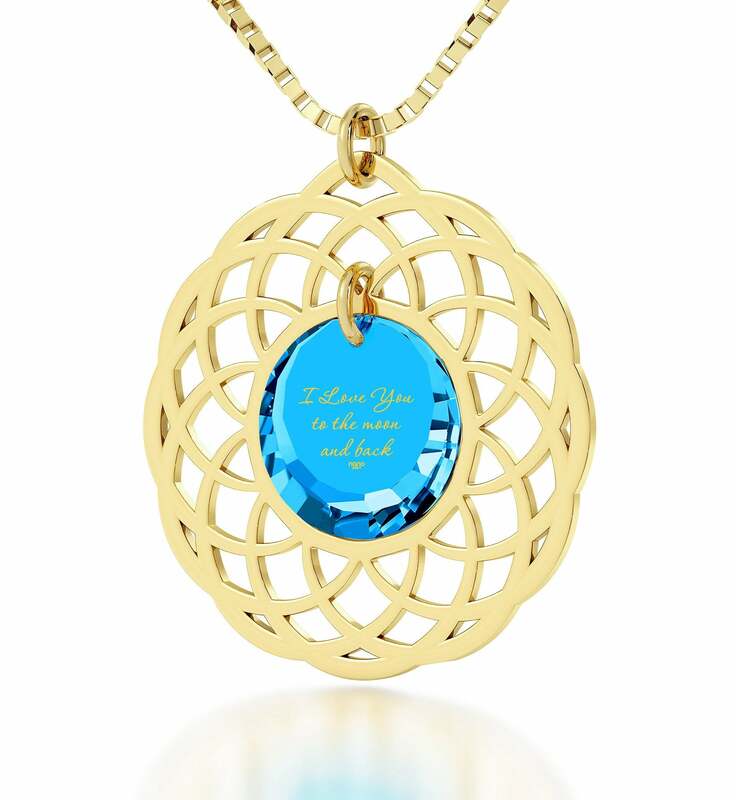 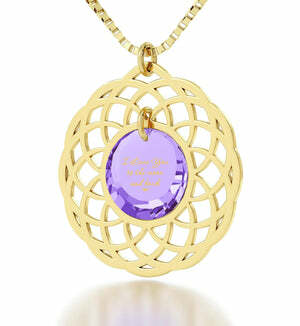 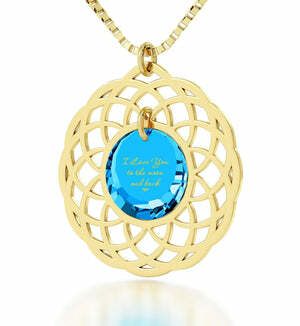 It is inscribed with “I Love You to the Moon and Back” in detailed script made out of 24 karat pure gold. 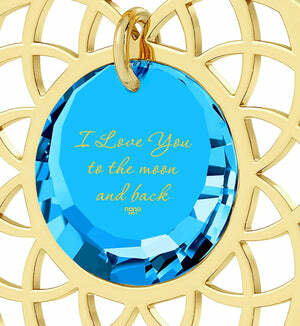 This is done in a special way that ensures the script lasts forever, and can be obtained nowhere else in the world. Talk about a great Christmas gift for her! 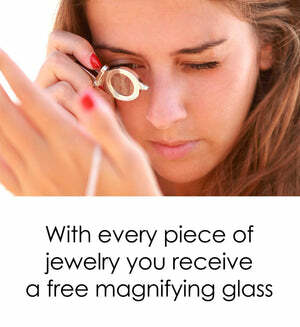 She’ll also get a terrific magnifying glass that will help her appreciate the fine words of affection even more. 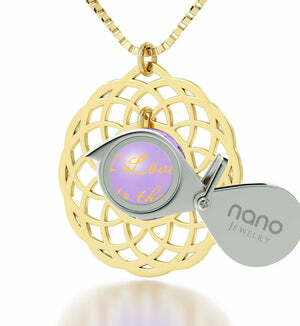 Like top womens gifts usually do, this one comes inside a beautiful box. All that’s left is for you to pick out a tasteful bow and see how she reacts to this great surprise. 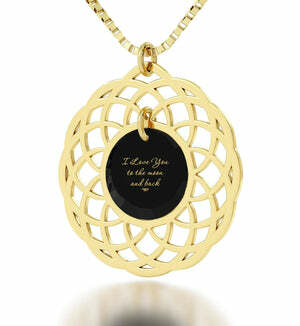 Given her impeccable sense of style, she’s sure to love this meaningful necklace as much as you do her. 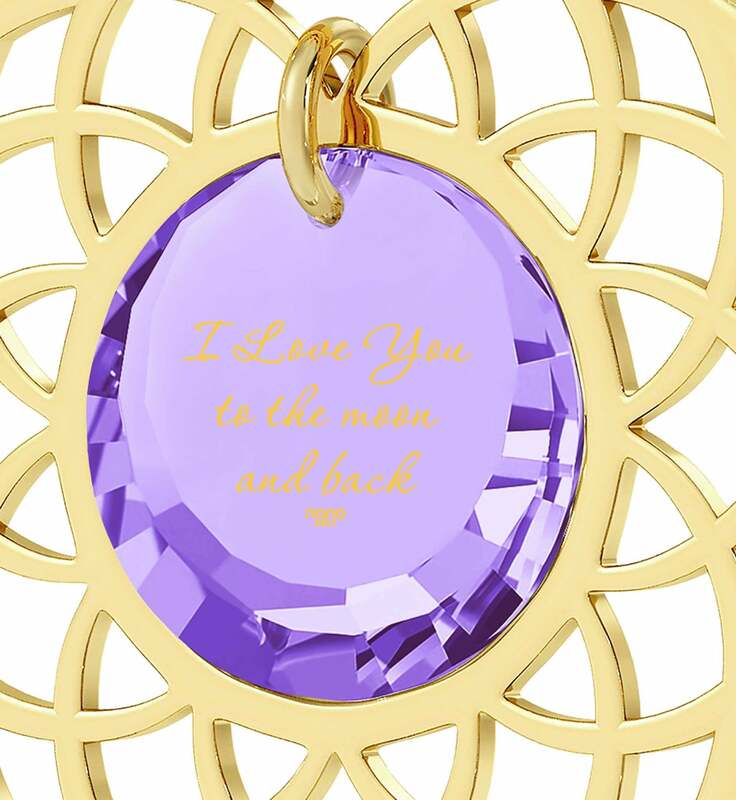 So, pick out a gemstone color that matches her eyes and count the days until it is time to surprise her!